It is estimated that more than 70% of U.S. households have a dog or cat. 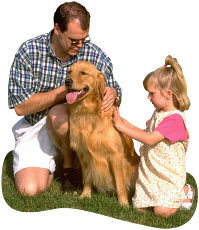 Our pets provide us with companionship, friendship, and a sense of comfort. Unfortunately, roughly 10% of individuals may be allergic to animals, including their own beloved pets. Furthermore, a high percentage of individuals who suffer with asthma also have pet allergies that can make their conditions worse. In fact, according to a study recently published in Pediatrics magazine, asthma cases could drop by nearly 40% among American children under the age of 6 if susceptible youngsters didn't have pets or other common allergy triggers in their home. In addition to cat and dog dander allergies (which are the most common), many individuals are also allergic to birds (especially parrots), horses, hamsters, gerbils, guinea pigs, cows, and pigs. Symptoms of pet allergies vary dramatically and in some cases may take years to develop. The most common symptoms include sneezing, watery and itching eyes, hives, coughing and constricting bronchial tubes, sore throat, post nasal drip, stuffy nose, and breathing difficulties. It is surprising to many that pet hair is not considered to be a very significant allergen (although it can certainly be a irritation to clean up!). Most pet allergies are caused by proteins secreted by oil glands in the animal's skin that are shed in skin flakes, or dander as it is often known. Pet saliva and urine can also cause allergic reactions in some individuals. While pet hair itself is not a significant allergen, it can trap pollen, dust, mold, and other allergens that you can then become exposed to. In other words, if you are allergic to grass pollens for example, don't let Fido run through a field of grass and then invite him back into your home for the night. Allergists and The American College of Allergy, Asthma, & Immunology (ACAAI) recommend the use of HEPA (High Efficiency Particulate Arresting) filters as a means of reducing exposure to pet allergens, particularly airborne dander in bedrooms. The ACAAI also recommends frequent vacuuming, cleaning of walls, and washing of household pets. select your pet carefully, but keep in mind that short-haired pets will not necessarily reduce your exposure to dander (which contains the allergen).